On the day you move in, you’ll need to bring along kitchen items, bedding, clothing and any personal items to make you feel at home. Be sure to bring some form of ID with you, too. Someone from the property’s friendly team will be waiting to give you further information and the place’s key fob. If you’re arriving later than anticipated, let the team know in advance so someone can wait for you out of hours. We only require a UK guarantor if you’ve requested to pay in instalments. Without one, the full amount of your rent has to be paid in August. If you’d like to pay the booking fee in handy instalments, your guarantor has to send a UK utility bill along with the relevant info – they’ll get an email with the exact details. Yes, we’re happy to lend an ear if necessary. We’d recommend talking to your university support team first, as they may be in a better position to help out. If you’re comfortable enough to share and would like to speak with the Accommodation Manager, you can book an appointment with them and have a confidential chat. Sure, all of this property’s residents have their own letterbox and will be given a key to check their post at any time. If you have a parcel delivered, reception will look after it, just be sure to bring your ID with you upon collection. Absolutely, there’s lots of secure bike storage areas for you to use. Pack up all your belongings and give the room a clean – it’d be lovely if you left in the same condition as you found it. Once that’s done, hand over your fob and post box key, say your goodbyes, and be sure to have a great summer. Unless you’re staying in a gold studio room for dual occupancy, all our other rooms are single occupancy. You and your housemates are. It’s helpful to have a cleaning rota in place from the beginning. You can bring your rubbish/recycling to the bin stores and all collections are included in your rent. You can also share the cost for a cleaner to do the job for you. Absolutely – just let us know of your arrangements when making your booking and we’ll group you with your friends. 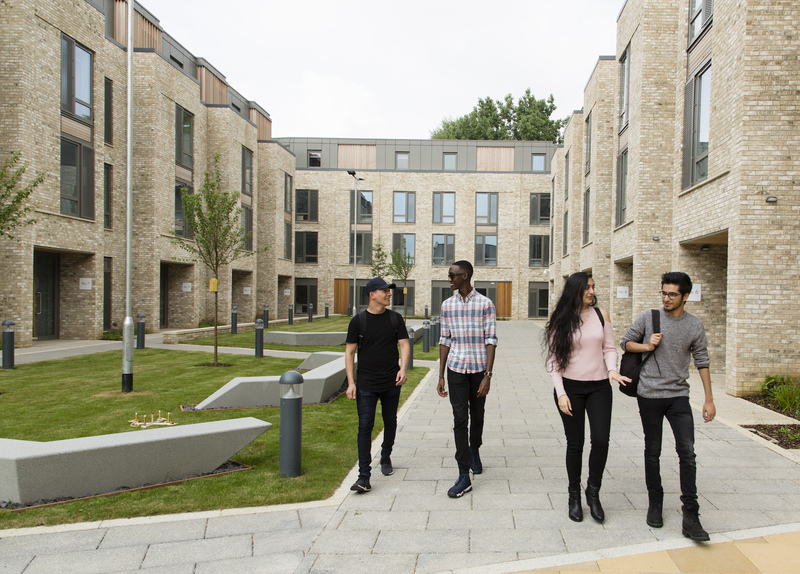 If you don’t know anyone when you move, don’t fret – most students come on their own and soon make friends. Yep, it’s entirely up to you – just let us know what you’d prefer at the time of booking. Of course, they’re welcome to come and see you throughout your studies. However, only one guest is allowed to stay in your room for a maximum of 3 nights a week. And, you must be with them the entire duration of their stay and sign them in on arrival. During their visit, you are responsible for your guest – they must be signed in/out and follow all aparto regulations while they’re here. Go for it, but please consider your fellow residents living in the building, and give the apartment a clean once you’re finished. We’d love to show you around! Please call us on 0844 371 5694 or complete our tour booking form to arrange a viewing. Please meet us at our show flat: 315 Mill Road, CB1 3DL, ring the buzzer on the door and someone will come and open the gate for you. No problem, let us know you can’t make it and we’ll make the necessary re-arrangements. We’ll show you around a brand-new townhouse and floorplans of the other rooms. The property’s main common room has a TV, but you can bring one along for your own room or the shared lounge/dining area, just be sure to get a TV Licence before your Netflix sessions. In the Cam Foundry’s apartments and townhouses, you’ll find a toaster, kettle, hob and oven/microwave, along with a fridge/freezer and plenty of storage for your pots and pans. We’ll provide you with a mop and bucket, dustpan and brush, and an iron and ironing board. Be sure to bring along your own utensils, dishes, pots/pans and other small appliances ¬– we don’t supply these. Sorry, unless it’s for storing prescribed medication, we don’t allow you to keep fridges in your own room. Be sure to bring your own bedding with you – we wouldn’t want you leaving that extra comfy pillow at home. You’ll top up a laundry card or sign up to an app with your PayPal account that you can then use to operate our washers and dryers. Yeah, of course. It’s your room, so make yourself at home! But be sure to return the room to us in good condition, as you may be charged for any damages you incurred through term time. You can – your room is yours to stay in from the start of the tenancy agreement. Sorry, this isn’t possible right now.